So we have seen reports of the rebellion, pursuit and capture of the Dunbarton’s Regiment and Edward Kings account left them imprisoned, but for two of their number dead and two more fleeing through hostile country. Our next document is “A Full and True ACCOUNT OF THE Tryal, Conviction, & Condemnation of the SCOTCH REBELS, OFFICERS in the L. Dunbartons Regiment; At Bury St. Edmunds in SUFFOLK, (On Wednesday, July 31st, 1689) For High-Treason.” [Licens’d, according to Order, 1689. LONDON, Printed for J. Pardo in St. James’s street, 1689]. This is a two page pamphlet, differing in format and printer from any of the previous accounts as well as much (if not quite all) of their Williamite sychophancy. After a recap of recent their rebellion and capture, interestingly saying that they were ” made Prisoners of War” – I’m curious as to the nuances of that in context and brought to London. 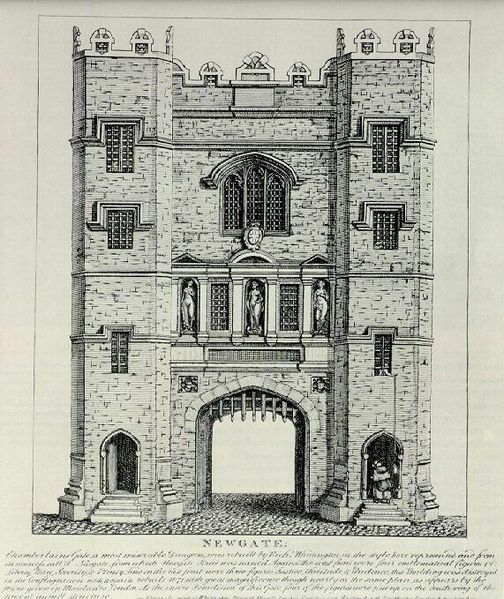 Forty “of the most notorious Criminals” were imprisoned in Newgate and the Gatehouse (presumably the one then next to Westminster Abbey) and eight came to trial in Bury St. Edmunds, after a July 13th adjournment. Captain Surtherland was “so indisposed as he could not be moved without Hazard to Life” so did not attend the trial, frustratingly we are not told whether this is due to illness, or whether, perhaps he was one of the Sleaford fugitives. The jury were selected, it seem from 168 elligable persons “of devers Ranks and Qualities but not one who had less than Forty Pounds a Year in Land”. The defendants object to the selection of several jurors (presumably as they were county people through whose locality they had recently passed riotously through), the King’s Solictior only objected to two. Auchmonty’s various defences, that the troops mutinied against him a, forcing his actions and that the monarchs were uncrowned were duly dismissed and he was convicted of High treason. This prompted the other six present to change their pleas to guilty throwing themselves at the King’s mercy, begging the Judges to intercede with the King for them (as they had with the King’s Officers at their capture). They cited their previous good service and undertook to serve the King for the rest of their lives. Adjutant Gawne was a “Romanist” and could “do as other to assure his Fidelity”, presumably a Test Act-like oath offered to pay a security instead. It is notable that whilst elsewhere, particularly in parliament this was seen as a Catholic conspiracy, only one of the seven ring leaders was a confessed Catholic. They did indeed all of them behave themselves with great Modesty and Prudence as Gentlemen and Souldiers, and seemed really inclined to give all Demonstrations that Men could of their future intentions of Loyalty, &c.
There is reason to believe that all sentences were not carried out-the court would have had no choice but to pass the death sentence, mercy, as the officers were aware, lay with the King. There is reason to believe that not all of the were executed, but I’m not yet clear who survived and who died. So this concludes my initial look at the four sources I have found on the Dunbarton’s Rebellion. It leaves a lot of gaps in the tale and has peaked my interest in a few related topics. I will be returning to the Dunbartons’ Rebellion periodically. Before we move on to the trial of the Rebellion’s ring leaders, there is a small sub-plot which is worth relating. Most of the accounts of the rebellion insist emphasise its bloodlessness. This wasn’t quite true, as we have already seen with the powder wagon explosion and the possible hanging of a number of the rebels by their own number. However, the two Edward King letters tell of the 40 or 50 “Scotch” which were sent from the main body to Sleaford itself to secure lodging and victuals for the rest. My next source is the one which first brought the Dumbarton’s Rebellion to my attention a few years back. “An ACCOUNT OF THE Defeat of the Rebels At WISBICH in the Isle of Ely”, another single broadsheet. Although, unlike the “Account of the Barbarous Rebellion” it does not mention the printers name, its nearly identical format and fonts strongly suggest the same printer and the dramatic, essentially pro-Williamite tone makes it probable that it was the same author. It refers to an “Account already been given” of the rebellion, which is probably the previous broadsheet. The Account tell us that despite the 1300 guineas of money sent by the king in arrears and the “great Civility shew’d them by their Collonel and other Officers” they set off to join the “Northern Road” to Scotland, i.e. the Great North Road, approximately on the route of the modern A1, which they look to have aimed to meet at Newark or Grantham. They left Ipswich for Stowmarket, but before reaching there one of their powder-carrying wagons exploded, killing one of their number and hurting others. They then moved on through Mildenhall to Wisbech. Meanwhile the pursuing force had reached St. Ives and learned of the Rebels location in Wisbech. Here it is worth introducing another source, the one found over at Rod Collins’ site, which overlaps with this publication. “A True ACCOUNT OF THE Reduction of the Rebellious Party OF THE Earl of Dumbarton’s Late REGIMENT”. This is by a different author and printer from our previous publications (Imprimatur James Fraser. London Printed for Richard Baldwin, next to the Black Bull in the Old Bailey), purporting to be according to report made by the Secretary of State in Whitehall, from a letter from Edward King esq, a Deputy Lieutenant and JP from Lincolnshire. THAT His Majesty’s Loving Subjects may not be abused with a false or mistaken relation of the Reduction of the Rebellious Party of the Early of Dumbarton’s late Regiment, the following Account, being True, is allowed to be Published. This is interesting as it suggests, that there were other accounts which contradict this one and did not meet with government approval- presumably being sympathetic to the rebels. The “Account of the Defeat” is unlikely to have caused such offense- it differs in detail to the “Account of the Reduction”, but is essentially pro-government. Conceivably this “false Relation” may have been oral, but it seems likely that there was another, more pro-rebel publication abroad. I’d love to see it, if it is extant as a counterpoint to the somewhat one sided propaganda we have seen so far. But back to the events of March 1689. According to the “Account of the Defeat” learning that the pursuing force was nearby, the Rebels took their first stand. This is an intriguing turn of phrase. As the council was held upon the waiverers who were then allegedly hung. This was not a council of rebels democratised by rebellion, determining their future course, but a drum-head court martial. I have not, however, seen reference to these hangings anywhere else and the author seems keen to make clear this was rumour. The average contemporary London reader was probably quite indifferent to which hedge this occurred alongside, but thankfully for students 300 years hence King, concerned with local affairs is quite precise in his description, allowing the local historians at Rod’s site to map very closely where these events occurred. Being surrounded, and Fire being ready to be given, they sent forth their commander, with his Cravat about his neck Halter-wise, who submitted intirely to the Mercy of the King forthwith laying down their arms. but I think that this may have been his pride as Deputy Lieutenant speaking after the event rather than a confident assessment of the ability of his part time troops to mobilise and concentrate in sufficient numbers to stand up to the veteran Dunbartons and their field guns, certainly with enough force to cow them into a bloodless surrender. This article has got overlong, so I will relate a bloody related incident in a later post, before we move on to the trial. Rod Collins, a Lincolnshire local historian has stolen some of my thunder! He came across another (quite gorgeous) broadsheet describing the showdown and capture of the Rebels from another angle and was similarly intrigued. His impressive panel of commentors has concluded the location of events very precisely and provided some excellent background information. Have a look at Rod’s excellent site and I’ll include some of what I have learned in my posts later this week. Thanks again to Uncle Bill (clearly a far better Googler than me) for the lead. Over at The 1640s Picture Book Ian has had a look at England’s Eagle Clawed Wolfe’s clothes. the “Picture Book” concentrates on Civil War era costume and he has some interesting things to say. He also has a better eye for detail than me- I wish I had picked up before the Wolfe’s unbuttoned fly! Chasing around a few scattered references online, I’ve realised I may have been under a slight misapprehension with regards the Dumbarton’s regiment’s Jacobite leanings. The regiment is variously referred to as having remained loyal to James II. I had assumed this referred to some earlier event related to their reaction to William’s landing in England, and their eponymous colonel’s loyalty to James but it seems it refers entirely to this brief 1689 “Rebellion”. The pamphlets seem adamant that this belated expression of loyalty was a retrospective justification for their riotous behaviour and an excuse for avoiding further foreign service. This seems convincing to me, but being unsure of their authorship, it is hard to guage the motivation behind them. It would be in the interests of many, not least the King and Parliament, to paint this as a criminal rather than political act. Since my last post, thanks to my Uncle-in-Law Bill Buckenham, I’ve come across another interesting source. Cobbett’s Parliamentary History of England (reproduced in full and for free on Google Books) has a transcript of the 15 March “Debate on the mutiny of Lord Dumbarton’s regiment”. Much of this debate centres on whether the rebellion should be considered to be High Treason or not, along with some vehement anti-catholicism, suggesting that many in parliament thought that this was a political rather than opportunist rebellion. I will look at the debate in its own right later. It does also provide some more details on the events of the mutiny however, albeit in some rather ambiguous language which raises some questions of its own. In order to maintain the chronology of event, I’ll briefly comment here on how this relates to my previous post, before moving onto the pursuit. The Fredrick and Meinhardt (the First and Third Dukes of Schomberg) were both in William’s service at this time but the use of “marshall” suggests this was it probably was Frederick who was the nominal and presumably absent Colonel of the Regiment at this time. The rest of this passage is a little unclear. Read literally it would suggest that the entire Dumbarton’s regiment including the grenadiers and some officers deserted and a second regiment of fusileers joined them. However there is no suggestion elsewhere that any other regiments were involved. I’m inclined to read this that the mutiny began with the grenadiers and the spread to the fusileers of the regiment, separately billeted at Harwich, to give a combined strength of 1500, plus some artillery. Mr Howe suggested specifically that Dutch troops should be sent after them as “I know not which else to trust” and Grinkle was another of William’s Dutchmen. Parliament petitioned the king to send troops after the Dumbartons and to declare the “Rebels and Traitors”. I think it paints a picture of England in 1689. 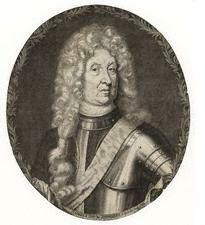 The regiment is under a Williamite German colonel, rebels to avoid fighting in a Dutch war whilst a frightened sounding parliament petitions their Dutch king to send his Dutch troops under a Dutch general in pursuit. In my next post, we cut to the chase. There are three publications I have come across to date relating to the Dumbarton’s Regiment Rebellion, all published in 1689. One relates to the rebellion itself, the second to its pursuit and suppression and a third to the trial of its ringleaders. I’m going to look at each in turn, with limited effort to confirm or contextualise them for now. Realising that the country was now likely to be raised against them, they tried to commandeer ships to take them to Scotland to “foment Divisions in the Country”. Eight Men of War were sent to prevent this and five regiments, The Lord Devonshires, two Dutch Regiments and two others were sent to intercept them. It is not clear whether the whole regiment of twenty six companies was involved in the rebellion, but if so (and there is no suggestion otherwise) and the companies were anywhere near full strength, this could mean than well in excess of 2000 men were involved. The scale of the response (five regiments) suggests it probably was. All three pamphlets emphasise the reputation for martial prowess of the Regiment, so at the time of the broadsheet’s publication we have a couple of thousand battle hardened soldiers with a reputation for lawlessness and violence, and as we shall see later well equipped, in open rebellion in East Anglia and five regiments (interestingly including two foreign Dutch regiments, acting in support of royal authority in England) in pursuit. Dumbarton’s Regiment was nominally Scottish. More on that later. When surfing EEBO a couple of years back I came across three contemporary accounts of a 1689 “rebellion” by a Scottish regiment: “Lord Dumbarton’s Regiment”, nominally still loyal to James II. It seems, making the perennial excuse of pay arrears they caused considerable nuisance throughout London and East Anglia before being run to ground by loyal troops and surrendering after an armed stand-off. The ring leaders were tried and executed. This particularly stirred my interest as the showdown seems to have occurred close to my original home town of Wisbech. A cursory internet search yielded no mention of this rebellion yielded no further references to the incident. Notably, potted regimental histories of Dumbarton’s regiment, which would become the 1st Royal Scots, although they cover this period, make no mention of it. Starting this blog has inspired me to follow up on this intriguing story and I thought, rather than complete my research and the publish, I would blog as I went along. Ideally this will lead to a gripping tale of historical detective work, leading to a triumphal account of the event, insightful analysis and a credit in the Hollywood film version. Reality will, probably, be somewhat more mundane and the project may die a death from a succession of dead ends and frustrations – or, quite conceivably, I will discover that there is already a two volume, well respected book on the subject. I think the risk to my non-existent reputation is worthwhile however and I hope following the process of investigation, will be of interest to some and any feedback and leads from readers of the blog will be helpful. So where will I start? I will need to do some general reading on the “Glorious Revolution” and its immediate aftermath as it is not a subject I am too strong on. Any recommendations will be gratefully received. I have found Regimental historians to be unfailingly helpful in the past, particularly if it adds to their body of regimental lore, although I am curious about how this rather inglorious incident will be regarded by the 1st Royal Scots and whether this is a well know part of their history they are politely ignoring. There are some Bury St. Edmunds trial records for 1689 in the archives in Ipswich it seems, which will also be worth following up and I will see if I can make any contact with local historians in the Fens to see if the incident made any lasting impact there. In the mean time we have three excellent primary sources to work with so I’ll start with looking at them in my next post. Welcome to The Eagle Clawed Wolfe, my new Early Modern history blog. There is nothing much to read yet (although you could have a look at the two ‘about’ pages if you like) but hopefully over the next few weeks I’ll be posting the first of a few pieces on a rebellious Seventeenth Century Scottish regiment and on some Early Modern sporting celebrities. If this sounds interesting, I hope you’ll come back.